Whenever you download an application onto your phone, it seems that no matter what it is – be it a game or social network-esque type of app – there is always an option to log in with Facebook. Sometimes in doing so, you are allowing the app to post updates on your behalf to your Feed, which usually does nothing but annoy the heck out of your Facebook friends. In addition, the app then has a very nice little profile on you, with all of your Facebook info automatically inputted. 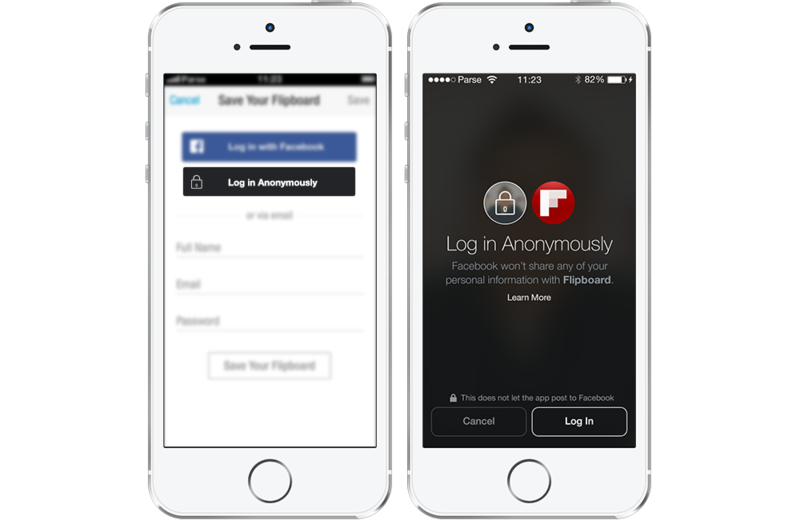 To help combat this issue, giving users more of an option, Facebook announced Anonymous Login today, which will allow users to log in to applications using an “anonymous” account. When you select to anonymously log in, the app gets restricted access to your information, which basically lets you test out the app before you go all-in with your personal information. To manage these new settings, Facebook has also introduced a new App Control Panel. In the panel, users will be able to manage all of the login and access points for the apps they have downloaded and given permission to. To top it all off, as if all of this wasn’t enough from the team at Zuckerbook, Facebook is introducing a redesigned Login set of permissions. Usually, you would only see a very limited choice of which permissions you could grant or deny to an app, but now, the options are much more extensive. For example, if someone wants to share their email address with an app, but not their birthday, they can make that choice with just a few taps. Fancy, right? To get a sense for how this new feature works, check out Facebook’s video below which details Anonymous Login.